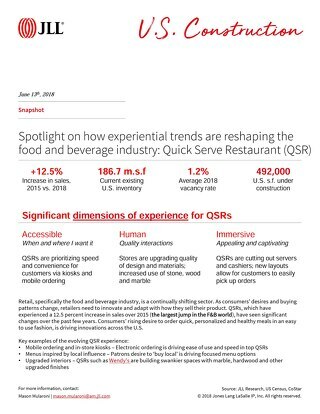 Consumer confidence grew in 2015, thanks to the economic recovery and low gas prices, spurring retailers to expand. 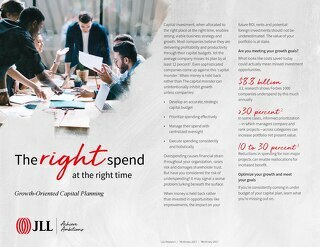 The majority of retail construction is in general retail (8.5 msf under construction), followed by shopping centers (5.4 msf). 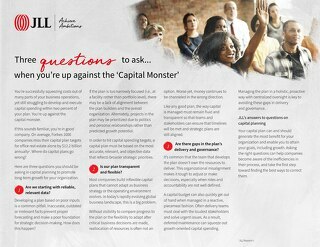 To learn more about our Retail/Multi-site project management services, go here. 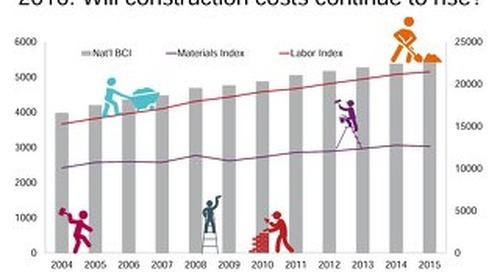 2016: Will construction costs continue to rise? 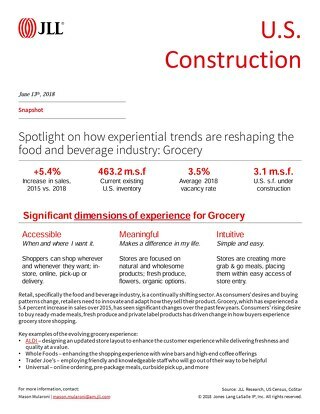 The food and beverage industry is continually shifting, and grocery is no exception, experiencing a 5.4 percent increase in sales over 2015. 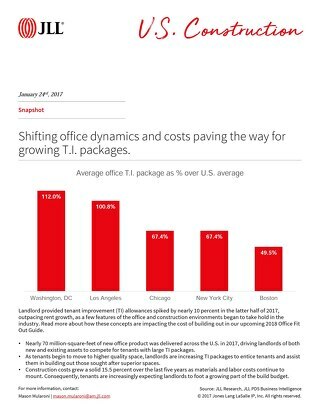 Landlord provided tenant improvement (TI) allowances spiked by nearly 10 percent in the latter half of 2017, outpacing rent growth. 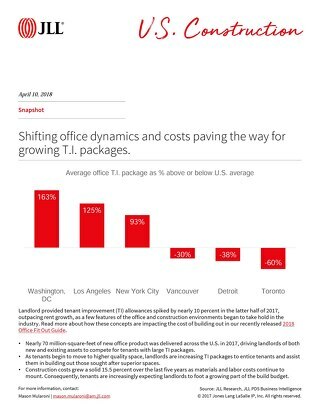 How is this impacting the cost of building out? 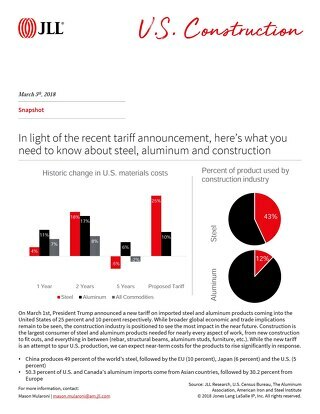 On March 1st, President Trump announced a new tariff on imported steel and aluminum products coming into the U.S. 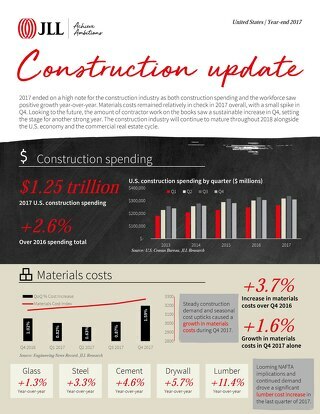 The construction industry is positioned to see the most impact in the near future. 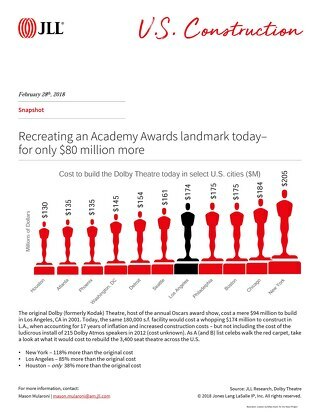 The original Dolby (formerly Kodak) Theatre, host of the annual Oscars award show, cost a mere $94 million to build in Los Angeles, CA in 2001. 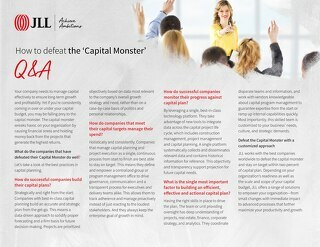 How much would it cost today? 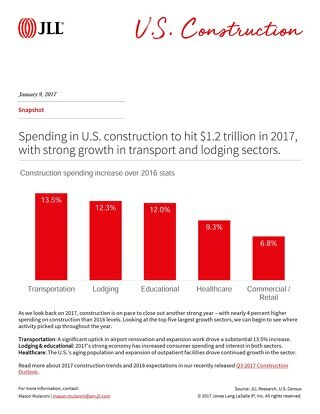 2017 ended on a high note for the construction industry as both construction spending and the workforce saw positive growth year-over-year. 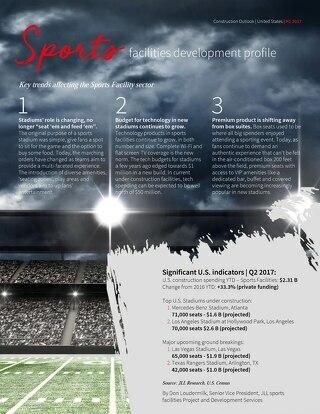 Looking at the top five largest growth sectors, we can begin to see where activity picked up throughout the year. 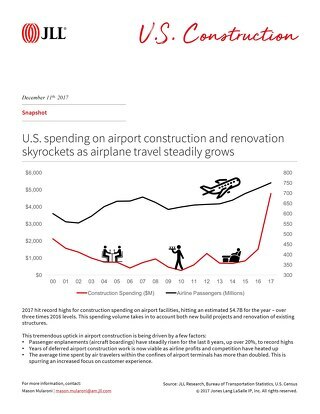 2017 hit record highs for construction spending on airport facilities, hitting an estimated $4.7B for the year – over three times 2016 levels. 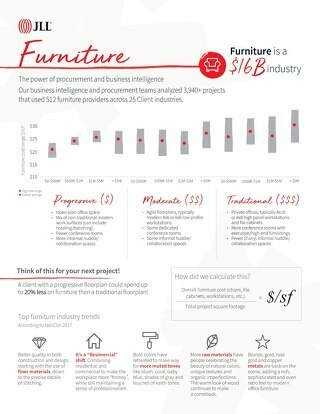 In this infographic, you will see the average cost of Progressive versus Moderate versus Traditional furniture across project size. 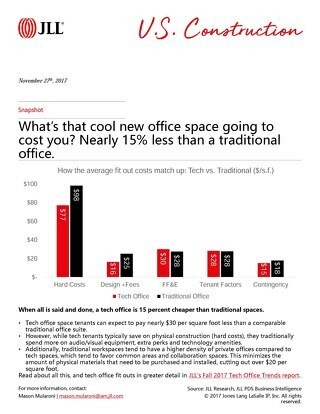 What's your cool new office space going to cost you? 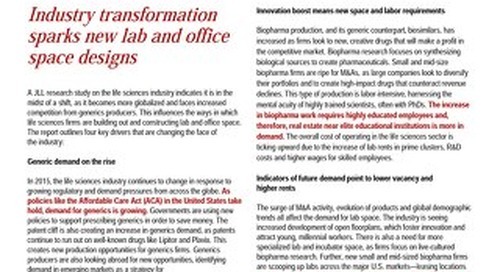 Tech offices on average cost 15 percent less than a traditional office space. 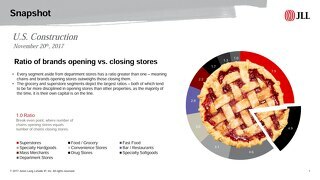 Grocery and superstore segments depict the largest ratio of brands opening vs. closing stores. 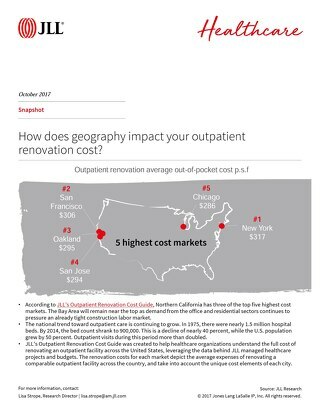 How does geography impact your outpatient renovation cost? 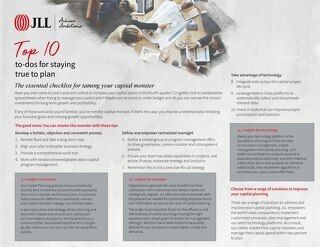 JLL’s Outpatient Renovation Cost Guide highlights the average out-of-pocket cost per square foot to renovate an outpatient facility across the nation. 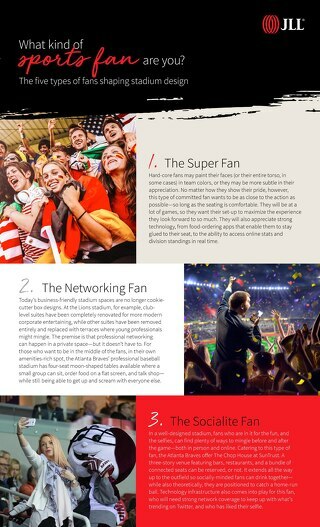 Check out the top five highest cost markets. 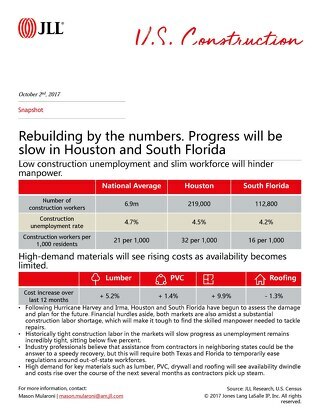 Low construction unemployment and slim workforce in will slow rebuilding progress in Houston and South Florida.